When you’re a dance professor, writing is optional. But when you’re a Sweet Briar professor, you always go the extra mile. 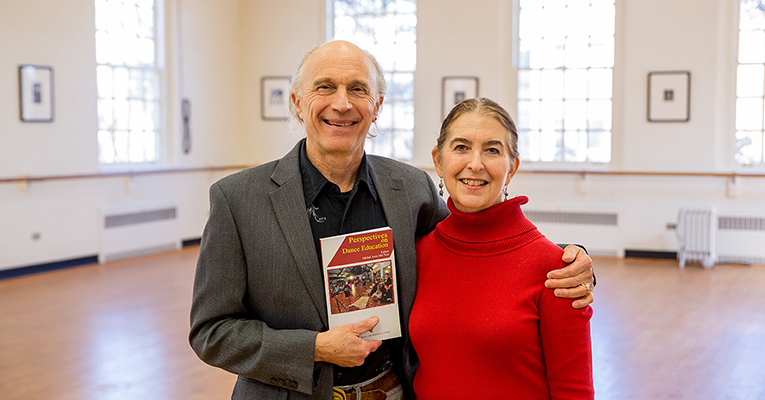 So, Mark and Ella Magruder, who have been teaching dance at the College for many years, each recently published chapters in a new textbook on dance education. The book is called “Perspectives on Dance Education,” and it’s edited by Mohd Anis Md Nor. Ella’s chapter — “Vital Dance: Performance for Young Audiences” — reflects her deep background as director of Sweet Briar’s dance education program, which not only prepares Sweet Briar students for careers in teaching, but also provides classes to children from the community. While her husband, Mark, would agree, his chapter, “Masks: A Door to Creativity,” takes a different approach. In addition to illustrating his knack for innovative choreography, it also reveals his passion for blending different art forms. For Ella, this marks the second time she has ventured into writing. In 2013, her book “Dancing for Young Audiences: A Practical Guide to Creating, Managing and Marketing a Performance Company” was published by McFarland & Company. At Sweet Briar, she teaches choreography, modern dance and aesthetics and dance criticism. Formerly a faculty member at University of Montana and Ripon College in Wisconsin, Ella Hanson Magruder was a member of the Mimi Garrard Dance Company in New York City. She performed “Black Traveler,” one of Beverly Blossom’s early solos, at The Danny Kaye Theatre in New York, receiving a positive review in Dance Enthusiast. Ella toured for 15 years with her husband and partner, Mark, in their duet dance company, Menagerie, performing for more than 100,000 students and adults. Mark is head of dance at Sweet Briar College and artistic director and co-founder of the Menagerie Dance Company. He has received reviews in The New York Times and The Washington Post. 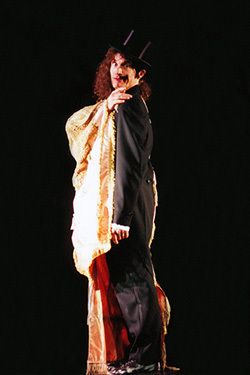 He has performed in Finland, Italy and Hungary and recently in New York City, where he danced in two of Beverly Blossom’s solos, “Besame Mucho” and “Last Bow.” Both were favorably reviewed in Dance Enthusiast. His work has been presented at the Kennedy Center in the National College Dance Festival. He has taught in Finland, Canada, Brazil, the Netherlands, Jamaica, Taiwan and Denmark as part of dance and the Child international festivals. Mark has danced in the companies of Shirley Mordine, Beverly Blossom and Mimi Garrard. He holds a B.F.A. 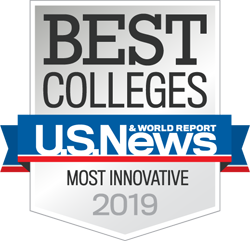 from the University of Illinois and a master’s degree from California State University. To learn more about Mark and Ella Magruder, visit www.magruderdance.com. For more information about Sweet Briar’s dance program, click here.